Available for viewing in Luneburg, Nova Scotia. Please contact us to make arrangements. Vendor is willing to take back financing for a qualified buyer. Metal hull sounding data is available upon request for the past three haul-outs. Main Engine is an after cooled 354 HP Caterpillar 3406 Turbo Charged. Purchased from Toremont Diesel Supply in Toronto, Ontario in 1997 as a factory rebuilt unit. The Engine was last overhauled by Atlantic Tractor, Lunenburg, Nova Scotia in Dec. 2003. The engine has a 52 inch four blad propeller. 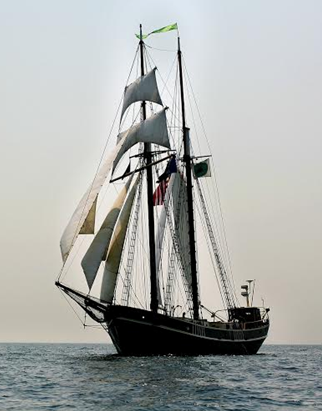 Gaff-rigged, square topsail schooner w/ seven rigged sails and four special purpose sails. 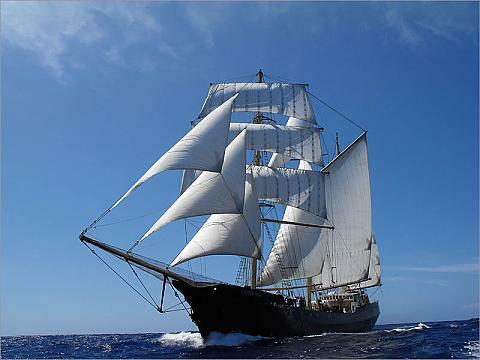 Steel masts with wooden topmasts. 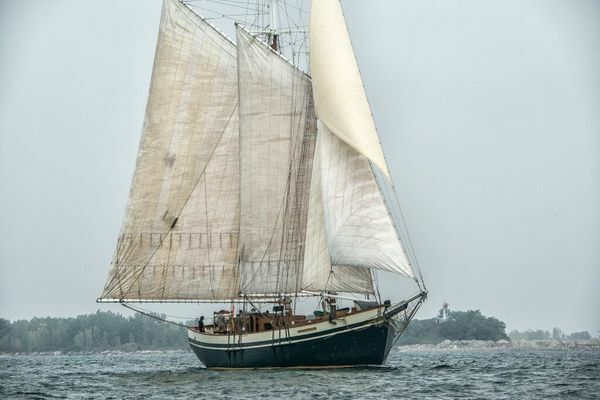 Sails tailor-made for Unicorn by United Baltic Sails (UB Sails), The Netherlands. STV Unicorn is a USCG inspected attraction vessel and, due to the Jones Act, opted to sail as an uninspected 6-pack. She is equipped with all required fire and safety devices. Fixed bilge system serviced by two pumps: Lister diesel driven Pacer 2" intake/100-200 gal per min. and electric 240V Emerson & AMT pump 1 1/2" intake/ 30 gal per min. These pumps serve as ships fire pumps as well. Current owners provided an extensive re-fit of all systems and accommodations in 2003 at Scotia Trawler, Lunenburg, Nova Scotia. 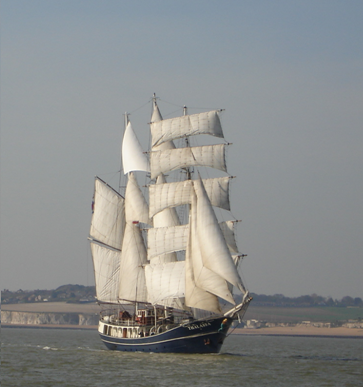 Plumbing, fresh water, bilge, sanitation, galley and related systems were all replaced and upgraded. A complete electrical system overhaul was undertaken, upgrading fire and safety systems. New non-opening port-lights were installed with heavy gauge aluminum hatches. 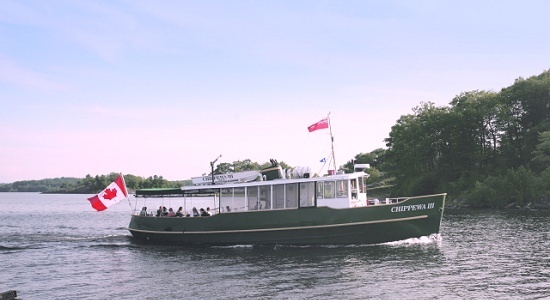 The vessel was dry-docked in October 2004 at the Heddle Marine Shipyard in Hamilton Ontario and again in fall/winter 2009/2010 at Gloucester Marine Railways. Work performed included removal and maintenance of propeller shaft and bearing, removal and rebuilding of transmission, removal and repair of steel plating at upper end of rudder post, replacement of rudder bearings, re-positioning of starboard hawse pipe, removal of through hull fitting forward of engine room bulkhead (through-hull fittings, port and starboard are now in the engine room), and complete inspection, ultra-soundings and repair of hull after sandblasting to "white metal." Hull was primed with epoxy and painted. Records of these haul-outs are noted on record with the USCG. Vessel's current main engine, an after cooled, turbo charged Caterpillar 3406 (installed in 1997) had a regularly scheduled top end performed in November of 2003 by factory authorized dealer, Atlantic Tractor. The Kubota Marathon 12 KVA generator was re-powered in June 2004 by Fort Pierce Diesel. Perkins 46 KVA main generator was brought on line in December of 2003 and its' cooling system upgraded in August 2004. In addition, between January and March, 2005 additional safety features were added by Embree welding of St. Petersburg, Fl. These included the re-enforcement of the Engine Room's watertight bulkhead, just aft of the main mast step, the replacement of 2, six dog manual doors (engine room and mid-ship) with quick acting wheel type doors, the addition of an on deck fireproof (aluminum) propane locker, the upgrading of deck hatch dogs to stainless steel wing nut types and the addition of an on deck outboard engine mount.